Since 1991, the Diocese of Arlington has provided pastors to the parishes of San Francisco de Asis in Bánica and San Jose in Pedro Santana. Fr. Jason Weber and Fr. Stephen McGraw have been serving in the mission since 2014 and 2017 respectively. Read more about these missionaries below. Father Jason Weber has served in the Banica Mission since July 2014. After graduating from Bishop O'Connell High School, Fr. Weber attended the University of Virginia and earned undergraduate degrees in Spanish and religious studies. 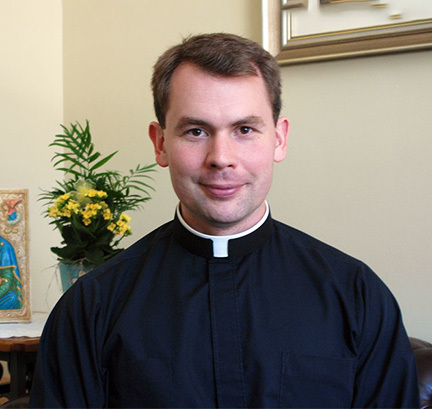 Upon graduation, he was accepted into the formation program of the Arlington Diocese and entered Mount St. Mary's Seminary in the fall of 2004. Ordained as a priest in 2010, he served as parochial vicar at the Cathedral of St. Thomas More prior to his current assignment in Bánica as pastor of San Francisco de Asis Catholic Church, which was founded between 1504 and 1506.